Officials in Armenia think chess can ensure success for the next generation. It is slated to become a mandatory subject in Armenian elementary schools when the new academic year begins in the fall. 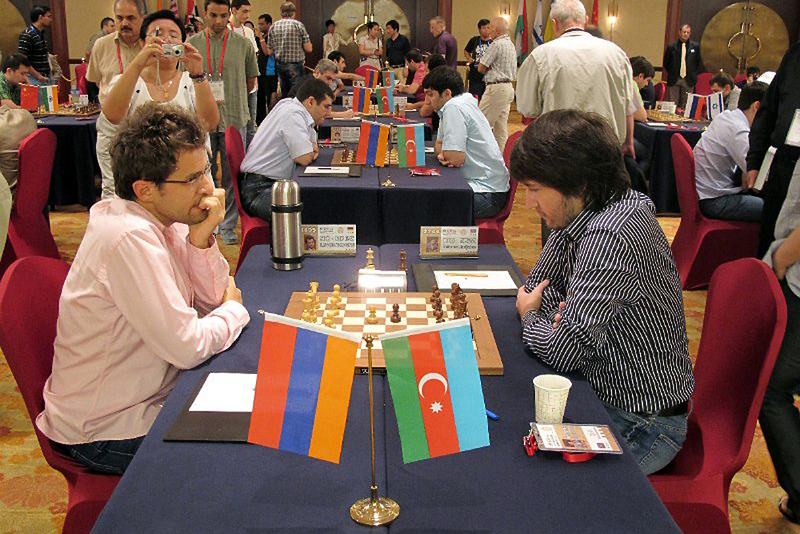 Nationwide, enthusiasm for the game is now at a fever pitch following Armenia’s gold-medal performance at the 2011 World Team Chess Championship in Ningbo, China. During the July 15-26 event, Armenia’s five-member, all-male national team scored five victories over China, Egypt, Hungary, India and Israel, and played to a draw with Russia, the United States, Azerbaijan and Ukraine. The victory marks Armenia’s third chess world championship since 2006. Such assertions -- and unsolicited chess commentary -- are routine among Armenians. And, now, the government wants to make sure that the next generation of Armenian chess players will have the skills needed to produce championship-caliber grandmasters. Starting September 1, second-grade pupils in 1,400 schools will be taught chess twice a week; the subject later will become mandatory for third- and fourth-grade students. The 177-million-dram (about $485,000) program is considered a “key” for improving the quality of education. Armenians often jokingly challenge each other with a game of chess “to see how clever you are!” But that challenge can play both ways. Earlier this year, opposition political leader Levon Ter-Petrosian, another enthusiastic chess player, described his side’s stand-off with the government a “political chess game.” That prompted criticism from a fellow opposition leader Aram Sarkisian, who suggested that Ter-Petrosian had “played the opening, but . . . lost the middle game” to the government. Sargsyan became chairman of the Armenian Chess Federation in 2004, four years before his election as president. “Chess develops purposefulness, discipline and coordination in a person. This is very important,” he noted. Not all Armenian chess instructors agree that making the game a mandatory school subject is the best way to produce world-class players. Arshak Ramazian, the director of a chess school in Vanadzor, 100 kilometers north of Yerevan, believes the government is making the right decision; popular interest in chess is on the increase, he asserts. The school, which earlier had only a few students, now boasts 300, aged five to 17 years old, with the government paying for their lessons. “Chess will develop children’s logic, memory, imagination and willpower, their ability to think,” Ramazian asserted. To underline that point, proponents of mandatory chess classes point to international Armenian chess celebrities like 32-year-old Elena Danielian, a repeat national and world champion who began playing chess when she was five and became the country’s first female grandmaster at the age of 16. Marianna Grigoryan is a freelance reporter based in Yerevan.